The oil change is probably the most important vehicle maintenance. It’s also the most overlooked. Oil changes are meant to keep your engine clean and clear of all harmful contaminants. The metal components in your engine need to maintain proper lubrication. Over time, the motor oil will break down and lose its viscosity. ShortVine Star Motors in Cincinnati, OH provides clean and consistent oil changes for all vehicle makes and models. The best way to retain the resale value of your vehicle is to stay up-to-date with its oil change services. We consider your vehicle’s age, your driving habits, and the manufacturer’s recommendations when designing a service plan for you. Our techs get to know you and your vehicle better so we can offer the most appropriate oil change schedules. Changing your motor oil according to a routine schedule has many benefits. You’ll notice that you’re saving money at the gas pump by keeping up with your oil changes. Your engine is forced to work harder and burn more fuel when the motor oil needs to be changed. A lack of lubrication also causes the engine to overheat, which can lead to a shortened road-life. Oil filters will also be changed on a consistent basis. Engines will accumulate dirt and be congested with debris from road travel. An oil filter replacement will keep your engine free of contaminants. The oil change is the one maintenance service that all drivers need to be on the lookout for. If it’s that time for an oil change, don’t delay. Use the wise automotive counsel from the experts at ShortVine Star Motors to put you on the most effective oil change intervals. Drivers should never wait until their vehicle’s dashboard tells them to get an oil change. 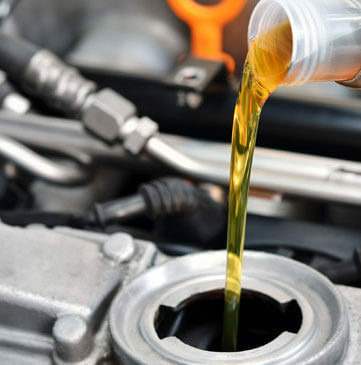 Any warning signs will mean that your vehicle is long overdue for an oil change. We use the best brands of motor oil and the appropriate grades. ShortVine Star Motors will have you in and out in no time. We know you have somewhere to be so we’ll provide quick and convenient oil change services. Give us a call today at 513-961-2409 to schedule your next oil change. You can save time by using our online scheduling system. Just pick a day and time that works for you. Next time you’re in the area, feel free to stop on by because we accept all of our walk-ins! We’re a well-oiled machine that’ll have you back on the road with a clean and healthy engine. Let’s protect your vehicle’s engine and extend its road-life with a quality oil change maintenance schedule.